While investigating a recent Java BOT I found some items that you might also find helpful in your battle against the dark side. (Yes, I will continue to make Star Wars quotes and puns throughout this blog). I enjoyed the investigation so much that I added it to one of our class lessons in the Host Intrusion Methodology and Investigations course at Guidance Software. I could not have completed this task without the help of James Habben, a great friend of mine and fellow instructor at Guidance Software. When I use the word “I” in this blog, sometimes it is the royal “I,” meaning “we.” Thanks, James. 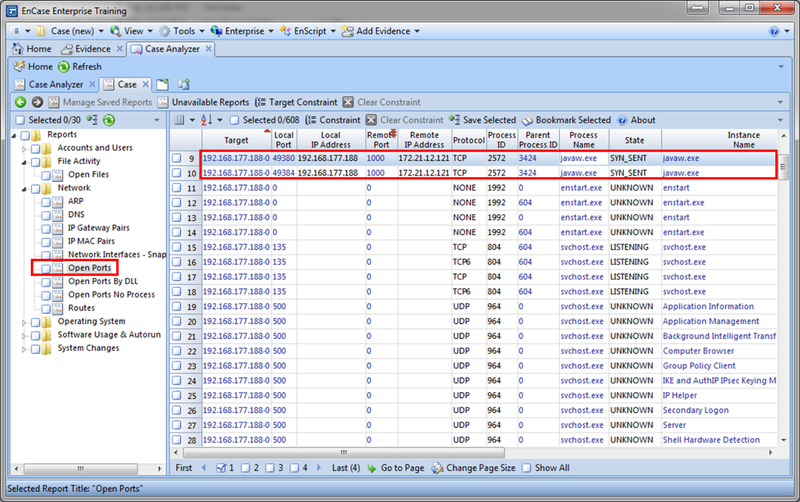 The first thing I did was take a snapshot of the volatile data using EnCase Version 7, and I saw that port 1000 was being held open by javaw.exe. A little Google search resulted in the following information: “’"javaw.exe’ belongs to Java from Sun Microsystems, Inc. The javaw.exe command is identical to java.exe, except that with javaw.exe there is no associated console window.” This would be perfect for malware attempting to spawn a Java process and yet not display a console window while doing so. This is all fine and good, but it does not help me track down the command-and-control server in charge of my little bot. Where then do we start to find that little nugget of information? Let’s look in the Server_1392852684035.jar file. If you remember from my earlier quote of the “Wookie”-pedia, .jar files employ the .zip file format, so we can use WINRAR or WINZIP to unzip it as seen in the image below. I went back to the process memory and searched for the Server_1392852684035.jar file and found something else very interesting. As you can see in the image below, just above the Server_1392852684035.jar file name there is a string of Unicode characters that looked a little strange to me. Sure enough, it was 960 bytes long and that also struck a chord. 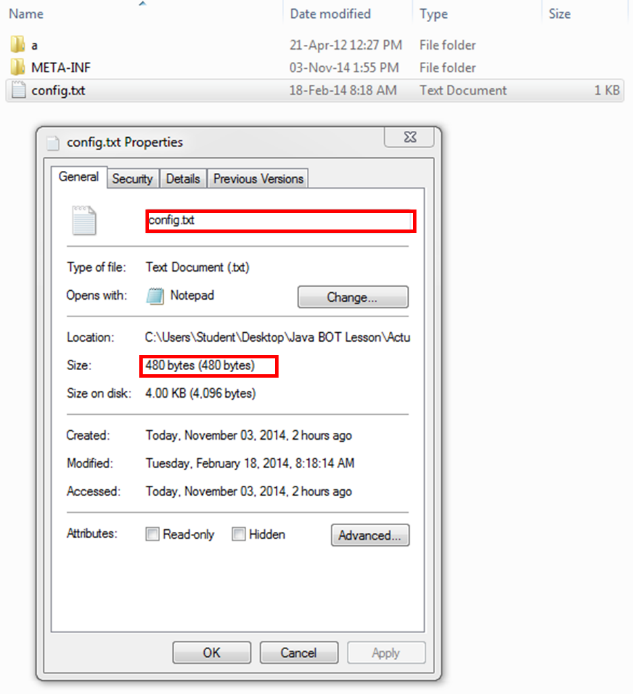 Let’s take a look at the contents of the config.txt file. And as you can see, the 960 bytes represented in Unicode in RAM are the same as the 480 bytes of the config.txt file represented in ASCII. What would you do at this point? Just before the contents of the config file in RAM is the text “AES/ECB/PKCS5Padding,” highlighted in yellow. I knew AES was the acronym for Advanced Encryption Standard and this might help in some small way, so I asked my friend Google what AES/ECB/PKCS5Padding was. 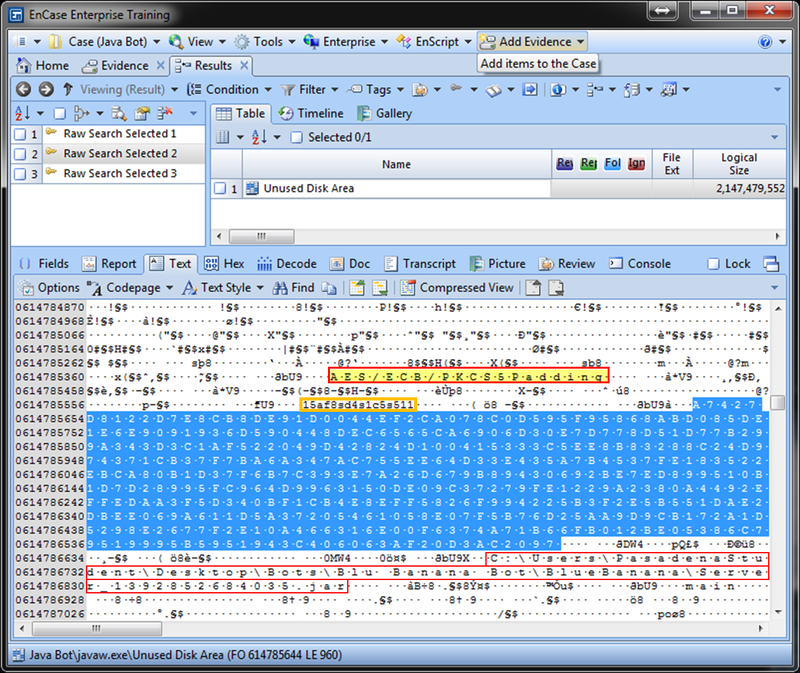 So, going back to look one more time at the image showing the contents of the config.txt file in RAM, you will see a 16-byte key just in front of the 960 Unicode bytes that make were loaded into the process memory from the config.txt file. What would the chances be that those 16 bytes (highlighted in orange in the image), “15af8sd4s1c5s511”, would be the key to unlocking the config.txt? As it happens, I discovered that it was doubly encrypted with a second 16-byte key,which I also found in RAM and simply put into the decryption engine using Cryptool 2.0. I found the IP address of the command-and-control server was 172.21.12.121 with a password of 1234, and it utilized ports 1000 and 1001 to send and receive data. We go into more detail in our class called Host Intrusion Methodology and Investigation on this exact bot and the decryption methodology used in this blog post. 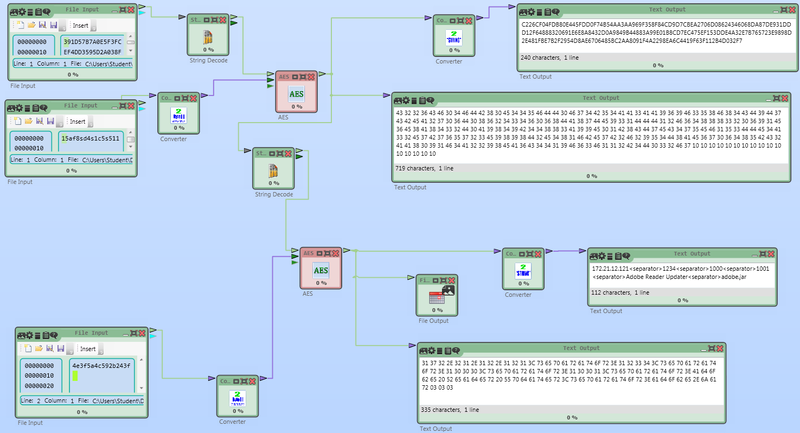 To sum up, I’d like to say, when dealing with malware, volatile data is an absolute must. Imagine that we had not obtained the volatile data… Where would we have started? Of course, when someone lays it out like it this--play by the numbers--everything seems just a bit easier. Comments? Ideas? I welcome your input in the comments section below. Jamey Tubbs is a Director of Professional Development and Training at Guidance Software. He previously served as a CID Special Agent in the U.S. Army Criminal Investigation Command.